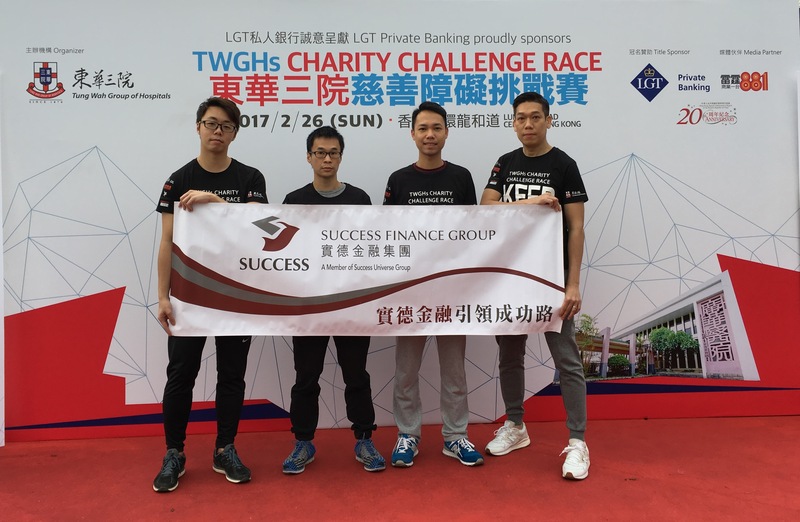 Success Finance Group (SFG) always encourages its workforce to participate in charitable activities for the benefit of needy in the society, and sponsored colleagues to participate in the TWGHs Charity Challenge Race for fund raising of Kwong Wah Hospital's redevelopment project and its healthcare service development. 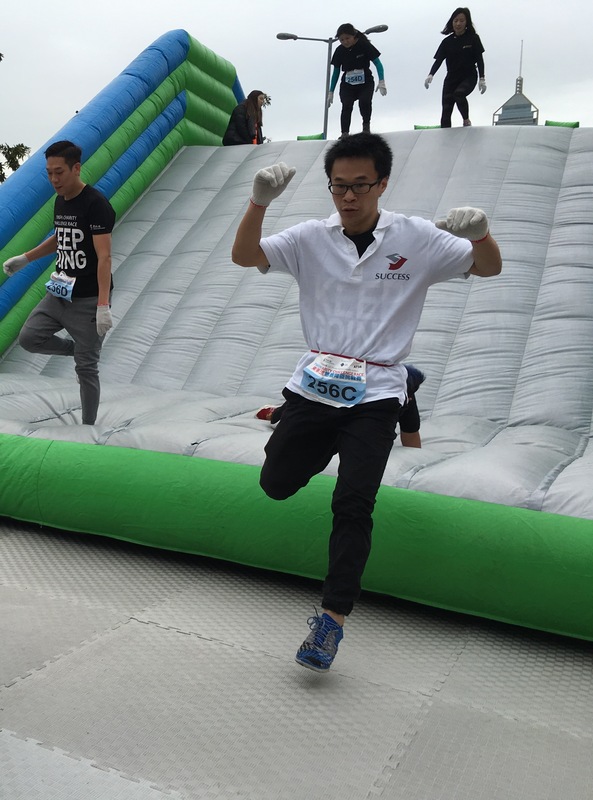 The Race was launched this year which attracted over a thousand of participants, while SFG's colleagues joined the corporate team and leaped over different obstacle points to finish the 2.5 kilometre race course successfully. SFG believes that committing to good corporate citizenship is able to make the community a better place, and supports a wide range of charitable and sports activities, as well as encouraging employees to join for the development of team spirit and healthy living. SFG participated in the TWGHs Charity Challenge Race. 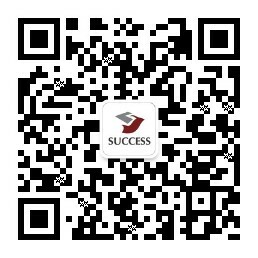 Participants leaped over different obstacle points.